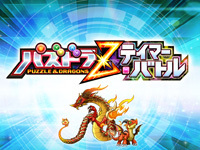 GungHo Online teamed up with Marvelous AQL to release Puzzle & Dragons Z Tamer Battle today. This is a version for kids of Puzzle & Dragons Battle Tournament that GungHo Online released in collaboration with Square Enix in April. The game is easier than the original, there are only three colors of gems to assemble unlike the 5 colours in the original version. The chara design is also a bit more childish. You can watch the two trailers of the game here and here. 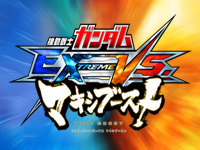 The Mobile Suit Gundam Extreme VS. Maxi Boost June update adds a new Gundam and a new campaign. The GAT-X207 Blitz Gundam is piloted by Nicol Amalfi and comes from Mobile Suit Gundam SEED, a series of 50 episodes released between 2003 and 2004. It features the following weapons and special equipment: Piercer Lock "Gleipnir", "Trikeros" Offensive Shield System, 50mm High-energy Beam Rifle, "Lancer Dart" Hypervelocity Kinetic Energy Penetrator, Beam Saber, Mirage Colloid stealth system and Phase Shift armor. 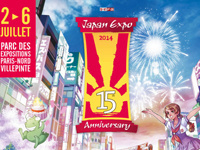 From June 16 to July 7, a second special campain is held. During this time, the players can win limited edition items, extra mecha, new gauge design and emblem depending on the number of days the player played the game during the campaign. Extra mechas: XXXG-00W0 Wing Gundam Zero piloted by Quatre Raberba Winner (Mobile Suit Gundam Wing), RX-178 Gundam Mk-II piloted by Elle Vianno (Mobile Suit Gundam ZZ) and MS-06FS Zaku II (Shin Matsunaga Custom) piloted by Shin Matsunaga (MSV-R). 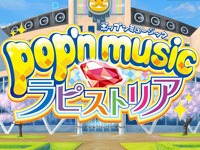 Pop'n Music Lapistoria is the 22nd release of the Pop'n Music series by Konami. Unlike the other Pop'n Music games, this is the first game to have an anime opening. In this opening you can see MZD, Retsu, Hiumi, Fuga, Rinka and Nia, shown in their new costumes as well as Mimi and Nyami. The theme of the game is "parallel world" and a story mode is introduced. MZD, the god of Pop'n World, uses a lapis to create a parallel world named "Another World" and sends Retsu, Fuga, Hiumi, and Rinka to this world. The gameplay is enhanced with the introduction of special items called Auras. They are placed in the bottom of the song banner. Auras can have six colours: gray, blue, green, yellow, orange and pink. The grey Aura represents a few points, while the pink Auras represents a lot of points. The opening is here. 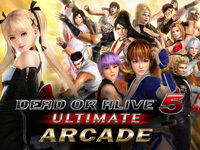 Dead or Alive 5 Ultimate: Arcade Ver1.7 is out today. A new character is added to this version. Nyotengu, the legendary "tengu woman" whose legend handed down from ancient times in the mountainous regions of Japan. She has wings which allow her to deflect aerial attacks. Her presentation video is here. Konami releases two sports games for children today: Ma tama shÅbu! Professional Baseball Dream Stadium and Ultimate Stiker. Ma tama shÅbu! Professional Baseball Dream Stadium is a card game with a baseball theme. It is licensed by the "Japan Professional Baseball" association, so the real players are featured on the cards. The game uses a joystick and a button for a gameplay suitable to children. The player chooses a skill with the joystick and uses the button to launch the ball if he's the pitcher or hit the ball if he's the batter. 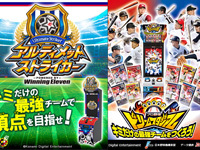 Ultimate Stiker is a football game with cards that uses the Winning Eleven engine. Japan, Italy, Spain, Germany, Portugal and Brazil are represented on the cards. The game is a face to face battle with the opponent. The player can use one of the four strategies available by stopping a wheel on the one he wants to use. 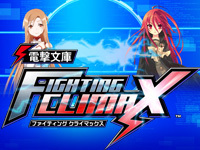 Sega releases an update of Dengeki Bunko FIGHTING CLIMAX today. Four new character are added. Two of them (the girls) are playable: Taiga Aisaka from Toradora! and Miyuki Shiba de MahÅka KÅkÅ no RettÅsei (The Irregular at Magic High School). Each one comes with a support partner from her series: YÅ«ji Takasu from Toradora! and Tatsuya Shiba from MahÅka KÅkÅ no RettÅsei. Watch the presentation movie here. 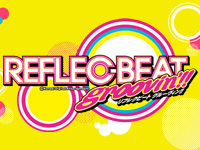 The fourth REFLEC BEAT game from Konami is available today. A new game mode named "Reflecting Dojo" was added. The players play a 3 songs course against the CPU. The songs are not fixed but the player has to choose them within a selection of songs fitting the course theme. There are two course types: Nintei Shiken (based on skills) and Kentei Shiken (based on a theme). There are also other new features: a "Refle" point system, a fourth difficulty level named "Special", "Vertical Objects" that are a new note type that, unlike other notes, don't bounce on the side and a new trophy system. Most of earlier reflec beat unlock songs are now unlocked by default and many new songs were added. A special game mode starring the game mascot Pastel is also to be discovered: Pastel Wonder Quest. 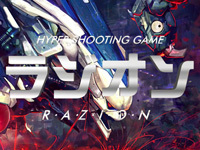 Razion is the next Neo-Geo MVS shoot'em up by NG:DEV.TEAM. The game is currently finished at 80% and the release is planned for Autumn 2014. This horizontal shoot'em up will feature 6 levels, 6 endbosses, 7 subbosses and 2 game modes (novice and normal). 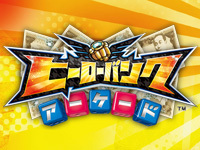 The score system is based on collecting gold cubes and using the beam. It's played using 2 buttons: A = SHOT (hold for focus/gold soak) and B = BEAM. Game size will be 1560 Mbits. Graphics are 16-bit CGI rendered sprites. The backgrounds will consist of stage long panoramas. Pre-orders are open: the regular edition costs €399 and the limited edition (99 units) costs €449. The limited edition includes an OST audio CD, a shockbox, 2 posters and a postcard.